The telematics industry has evolved from a largely military and navigational system to a commercialized business tool which will continue to become one of the most important and sophisticated industrial communication components of the next century. From basic GPS systems like Google Maps, to the not-so futuristic remote maintenance systems and operation systems, to self-driving cars, the telematics industry is moving at a rapid rate and advancing by leaps and bounds. 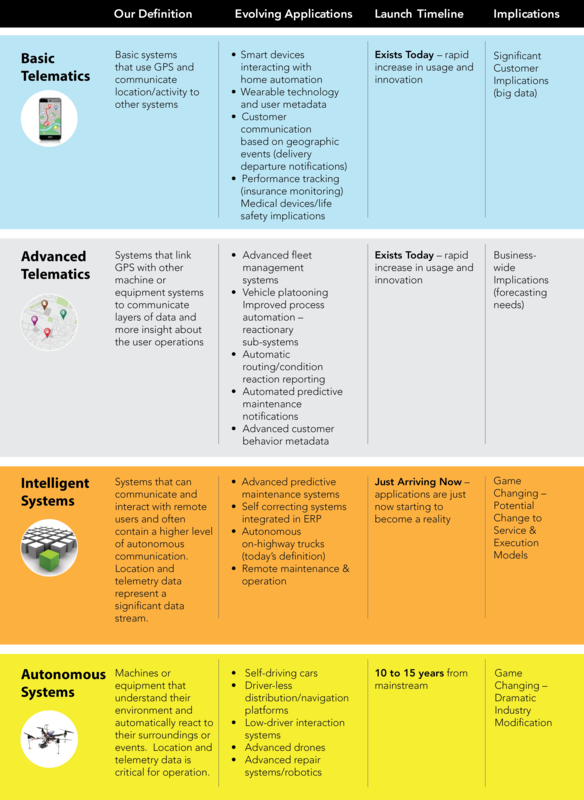 See how we categorize the telematics industry and what it means for the future.